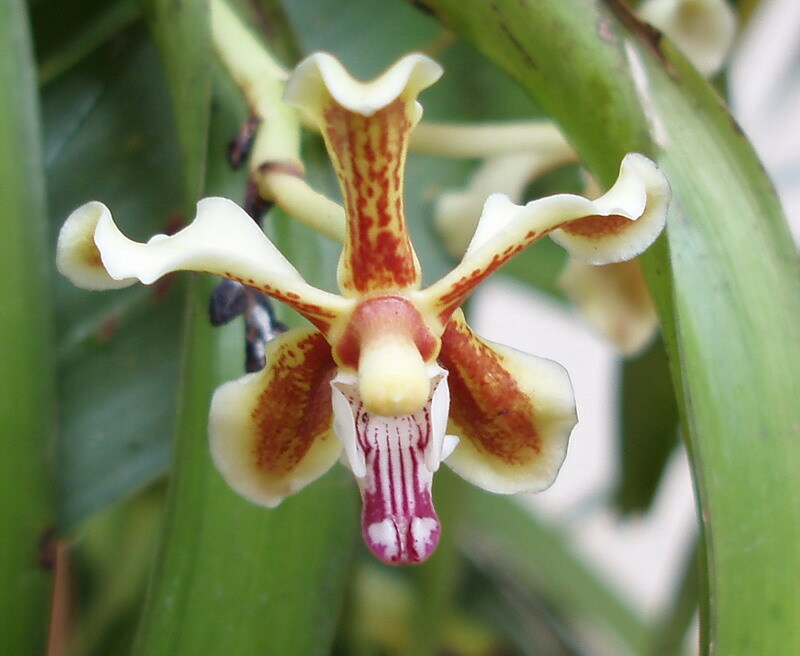 Found in Sulawesi at elevations of 500 to 600 meters where it has been recently rediscovered, Vanda celebica was thought to be extinct as the last known specimen was collected in 1910. 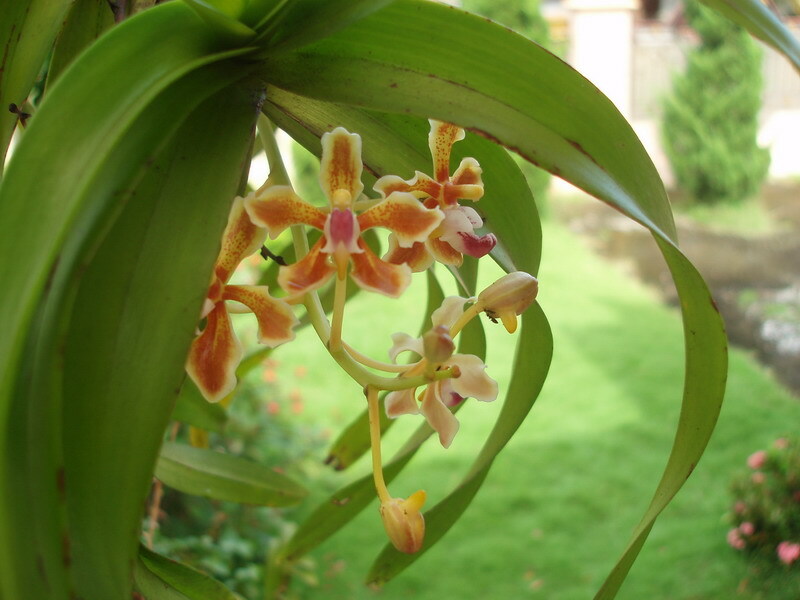 It is a large sized, warm growing, clump forming monopodial epiphyte from north Sulawesi with rather thin decurved leaves and blooms in the summer on a short, to 8 flowered inflorescence. 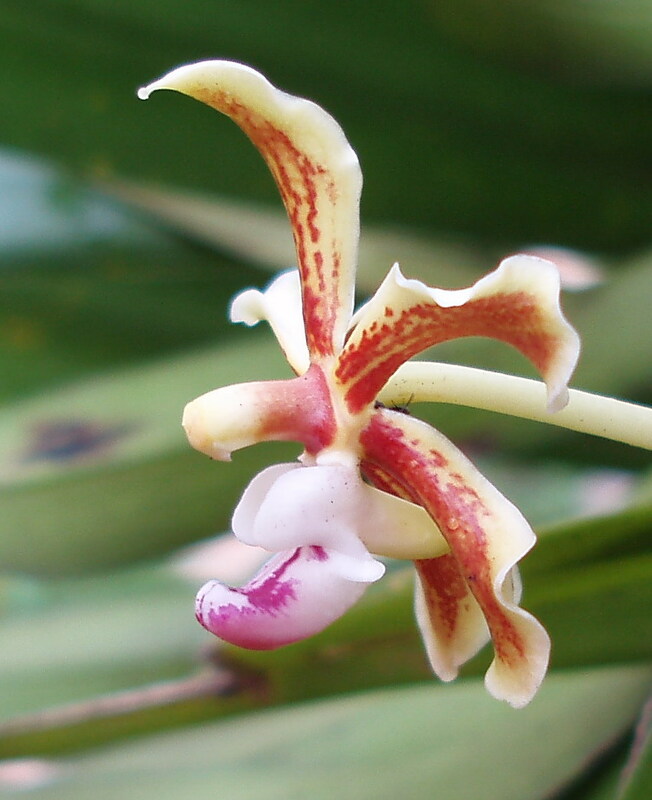 Its flowers are 1.2 to 1,6" [3 - 4 cm] across, have a lily-like fragrance that changes to a cucumber aroma after several weeks. The fragrance is strongest in the early evening.